The Cricklade Christmas Market took a break during the First World War, while one did take place in December 1914, the next one did not happen until 1921. Here are the minutes for the Christmas Market Committee meetings on October 21st 1914 and July 19th 1921, with some quotes below. 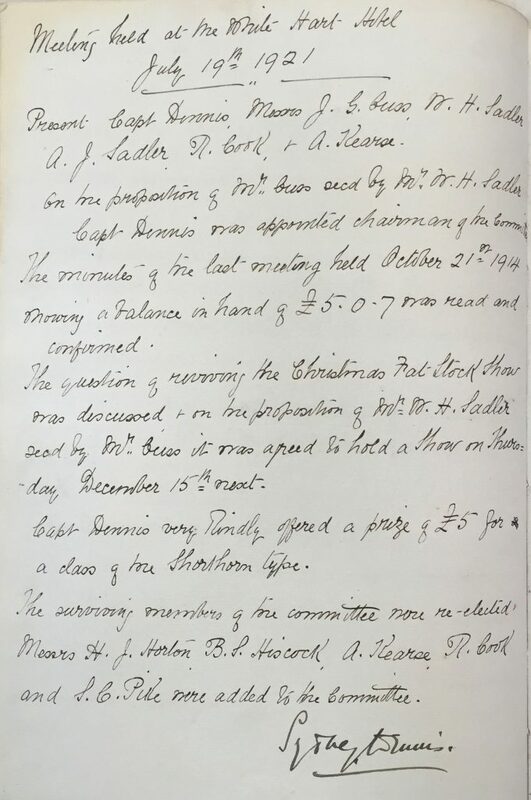 …The minutes of the last meeting held October 21st 1914 showing a balance in hand of £5.0.7 was read and confirmed. 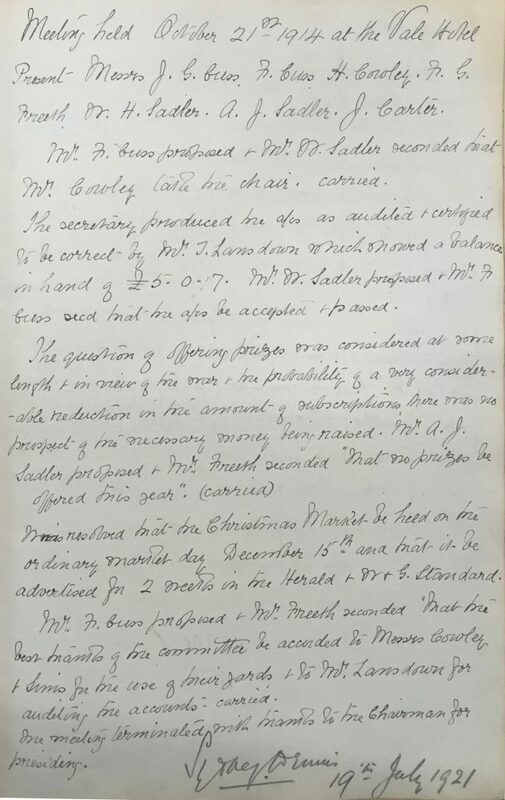 The question of reviving the Fat-stock show was discussed & on the proposition of Mr W. H. Sadler read by Mr Cuss it was agreed to hold a show on Thursday December 15th next. Capt Dennis very kindly offered a prize of £5 for a class of the Shorthorn type.